All our rooms are tastefully decorated en-suite units. We maintain a high standard and rooms are serviced daily with attention to cleanliness. Rates are in Namibian dollars. 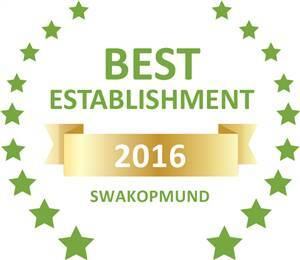 Based on reviews of establishments, Amarachi Guesthouse has been voted Best Establishment in Swakopmund for 2016. Recommended for Swakopmund accommodation by Afristay.